Bodywork: Eastern Coach Works H74F. 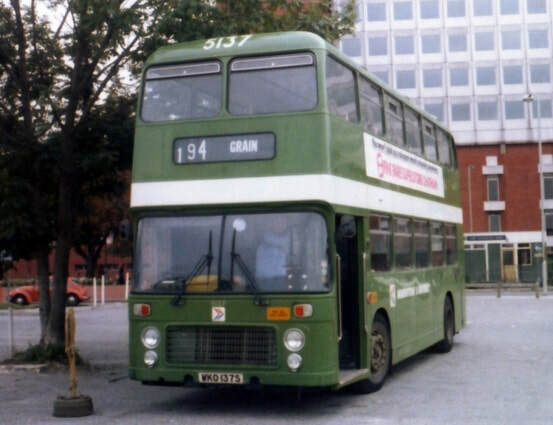 5137 was built for Maidstone & District Motor Services (M&D) in 1978. Like most Bristol VR's she was driven from Bristol Commercial Vehicles to Eastern Coach Works at Lowestoft in chassis form where she was fitted with a 74 seat body. Pretty standard you may think but 5137 was fitted with the less common 14'6" high ECW bodywork rather than the 13'8" high as on her more standard cousins. When delivered to M&D she took up service mainly around the Medway Towns based at Luton Garage then later Gillingham and led a fairly quite life. 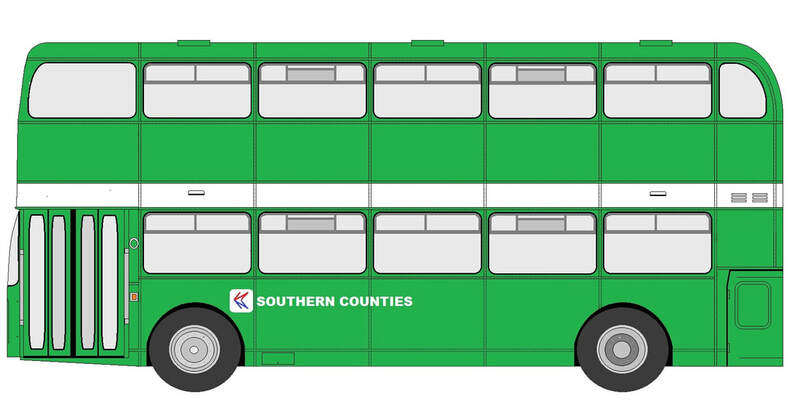 In July 1997 she was withdrawn only to be reinstated in the October in the attractive new livery of dark green and cream. By this time M&D was part of British Bus which in turn became Arriva. 5137 was tranferred to Arriva Kent and Sussex in April 1998 where she moved to the former Kentish Bus depot at Dartford to work school services. In June 1999 she was taken out of service for a second time but this time put up for sale. At this time many of the ex M&D Bristol VR's were being sold to the dealer Ensign of Purfleet, however 5137 avoided this fate and was purchased by Mr Rob Gibbons of Maidstone for preservation. And preservation it was, Rob resisted the temptation to return 5137 back to her National Bus Company 'Leaf Green' but left her exactly how she was. By 2007 5137 had found a new owner with Dave Atkins of Classic Omnibus, Folkestone. 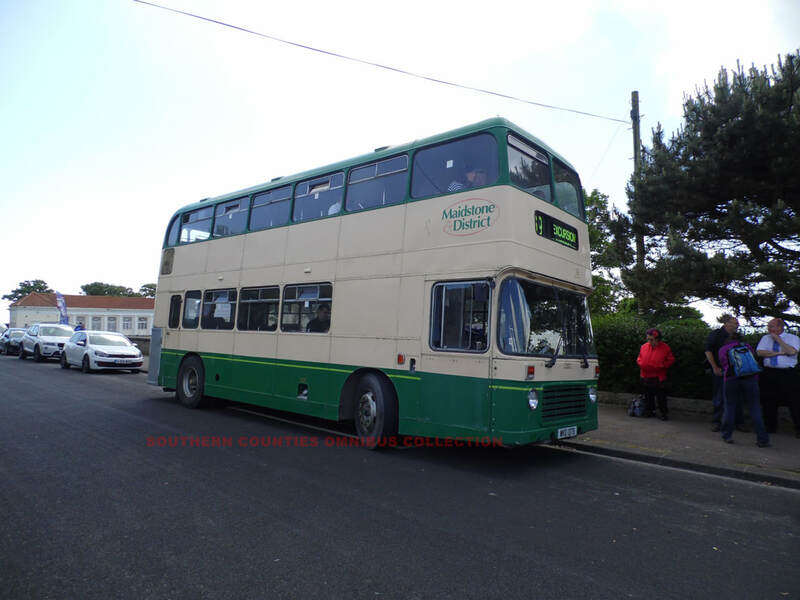 Here she joined ex East Kent 7674 (BJG674V) and ex M&D Atlantean 5706 (FKM706L) on contract work around Dover. Again she was kept in her original condition. By April 2010, Dave had realised that he needed to upgrade and had acquired two former East Kent Leyland Olympian's (7824 and 7825 K824TKP and K825TKP). 5137 was offered for sale. 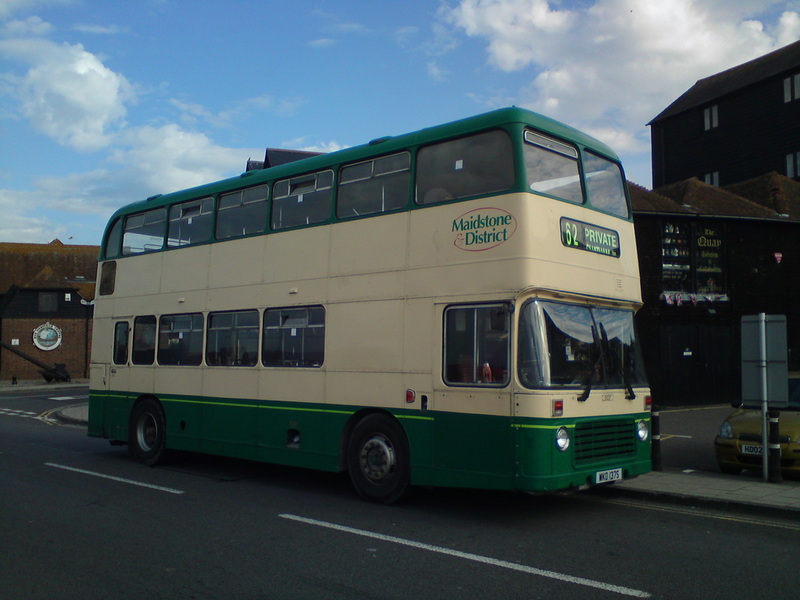 Bernard Sealy spotted the advert and paid her and Dave a visit at Dover Transport Museum where a deal was done. On the 18th June 2010 Bernard and myself collected 5137, that evening she was parked up in our yard with the other Bristol VR's in the collection, once more back in preservation. During early 2017, Bernard retired and obviously this meant that he'd have to cut back on some outgoings. WKO137S was sold over to Jake as a way of keeping her within the collection. Jake used to own WKO139S and has a very soft spot for these old M&D highbridge VRs. Jake is hoping to have 5137 back on the road during 2019 after a few minor jobs have been attended to.